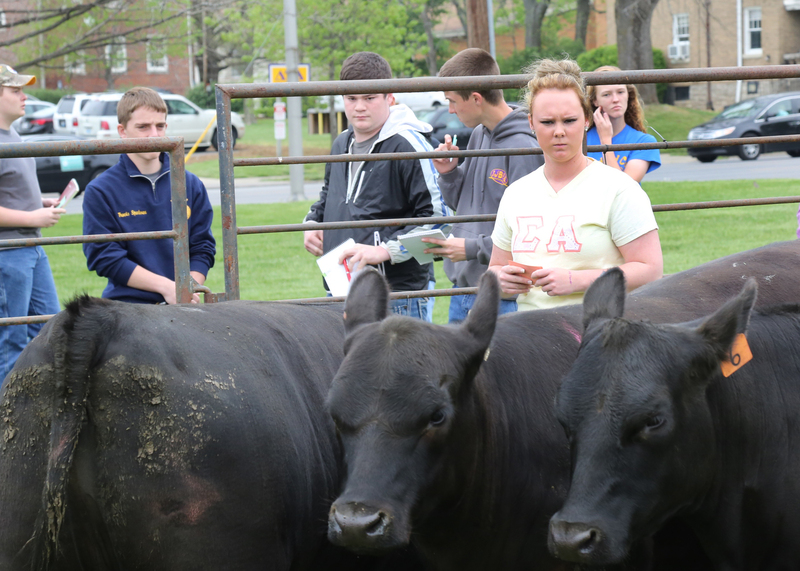 For countless students, the annual University of Kentucky (UK) Agricultural Field Day has been a springtime event to look forward to as a way to meet others, compete in a number of events and gain information about the school’s agriculture programs. 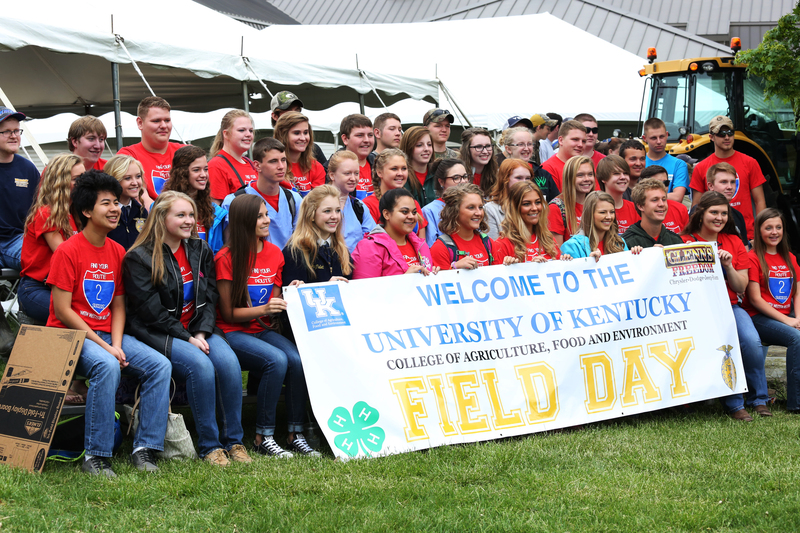 More than 2,000 students from across Kentucky made their way to the 2016 UK Ag Field Day. This year marked the 46th anniversary of the event with more than 2,000 individuals in attendance marking a new record. Participants included several from Ohio and Indiana, signifying that Field Day has become not only a premiere experience for Kentuckians but for students in other states, as well. Stacy Vincent, an assistant professor of agriculture education at UK and a board member of Fayette County Farm Bureau heads up the day’s activities along with the help of several of his students. For the attendees, there are several competitive events in which they take part including quiz bowl, horticulture, engineering and technology, floriculture, the equine industry, nurseries, forestry, veterinary science, land and soil, livestock judging, meat judging and food science, according to information from UK. 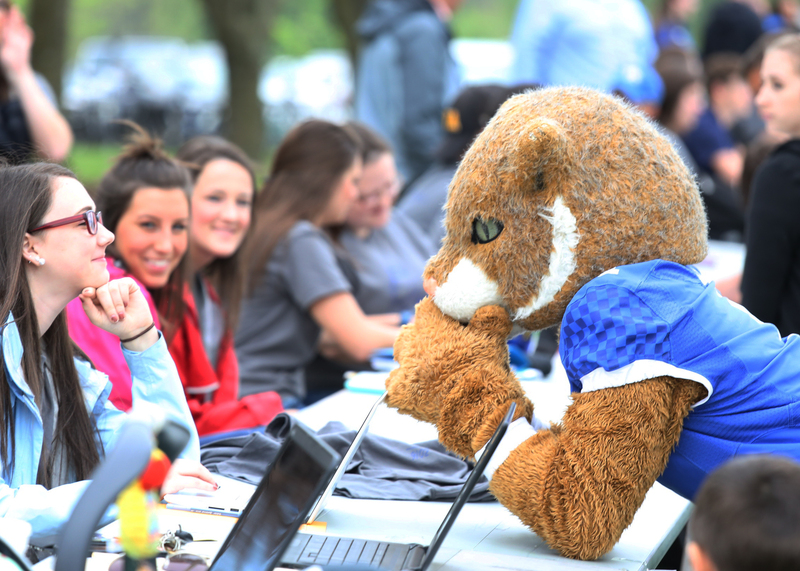 The UK Wildcat made an appearance at this year’s Ag Field Day. Vincent emphasized that, as more and more students involved in agriculture education aren’t connected to a working farm, several of the activities included in the Field Day competitions weren’t associated only with agriculture. “While we had production agriculture events, we had some competitions more about job skills development, job interviews and how to present information, for instance,” he said. And the schools competing weren’t just from rural areas. This year’s third place overall team was from Seneca High School in Louisville which has a strong FFA program and Locust Trace in Fayette County which won first place in the veterinarian science competition. Seneca also placed first in the floriculture event. “It wasn’t just farm boys and farm girls coming in here participating and winning competitions,” said Vincent. 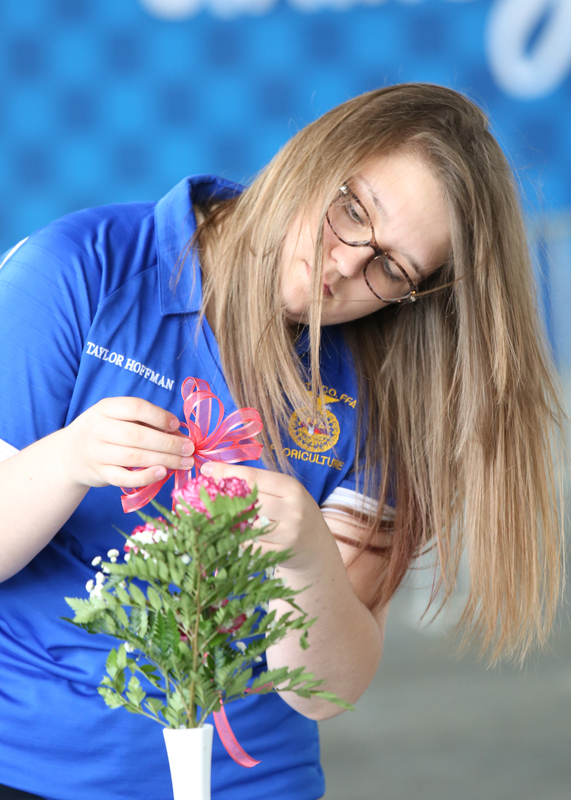 Floriculture was just one of the many events held during this year’s Ag Field Day. In addition to the student-related activities, their teachers, along with 4-H agents in attendance had the opportunity to participate in workshops and training sessions throughout the day. “We want to make sure the teachers leave feeling like they, as well as their students have gained something from Field Day,” Vincent added. 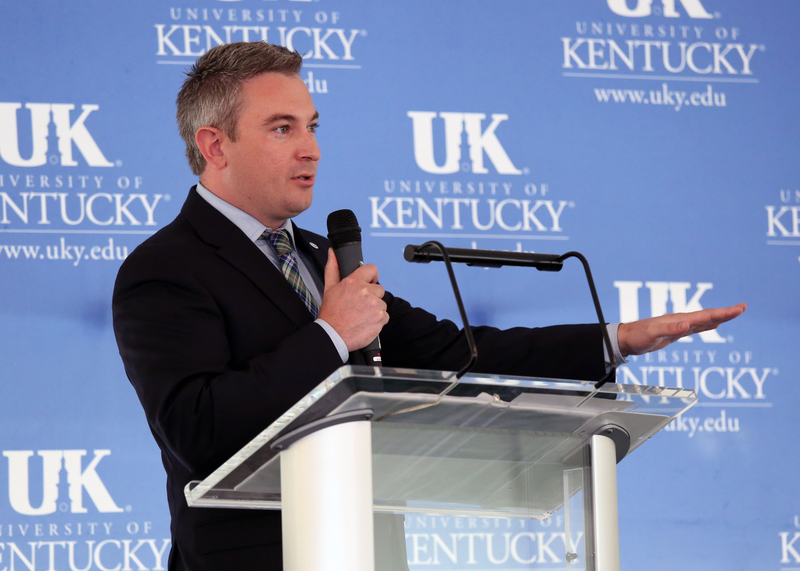 Kentucky Agriculture Commissioner greeted students and teachers during the event’s opening ceremony. He said as an FFA student he participated in Field Day many times. greeted students during the opening ceremony. He noted how significant it is to be supportive of agriculture literacy, especially in a society that doesn’t understand agriculture. He added it’s wonderful that so many young people who don’t have a farm background are attracted to the ag industry because of the career opportunities, the science involved and the economic development aspect of agriculture. Vincent pointed out how popular agriculture education at the secondary level is due to students finding it interesting and realizing once they get to the college level, they can make a good living in the industry. Livestock judging was one of the more popular competitive events. UK’s Agricultural Field Day is helping to pave the way for these future agriculturalists and the 2017 version is already in the planning stages, set to take place April 20 next year.